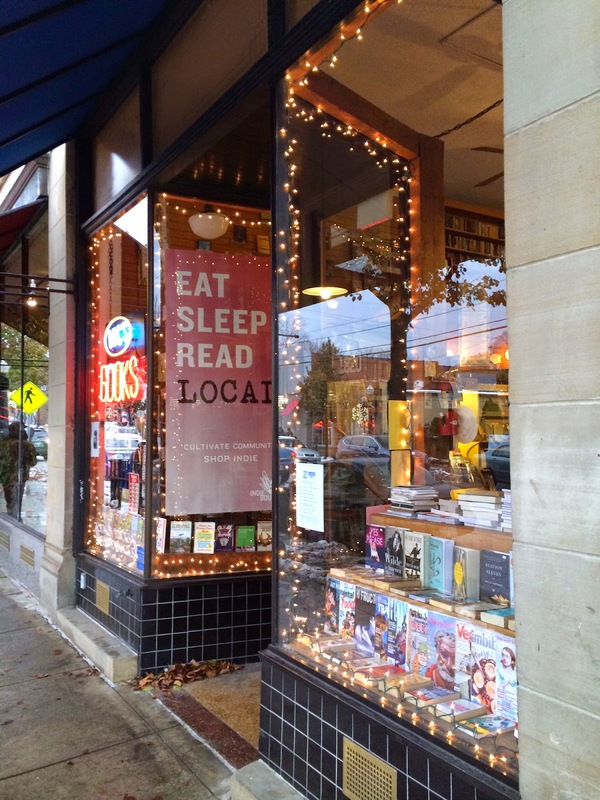 November 29 is the "Indies First" celebration: a nationwide bookstore extravaganza. Need to start your shopping for holiday gifts? Skip the black Friday malls-- you can get your gift-shopping done, and meet local authors at the same time. Mac's Backs will have holiday refreshments and nine local (or native) authors on hand throughout the day on Saturday, Nov. 29. Each author will hold court for an hour, signing books and suggesting titles, starting at 10 a.m. In order of appearance, they are: Deanna Adams, Anne Trubek, Ben Small, Jane Turzillo, Les Roberts, Shelley Costa, Tricia Springstubb, Joyce Brabner and John Paulett. Loganberry will host authors on Friday, Nov. 28, and Saturday, Nov. 29, during the Larchmere Holiday Stroll. Starting each day at noon, authors will chat and sign books for an hour each. 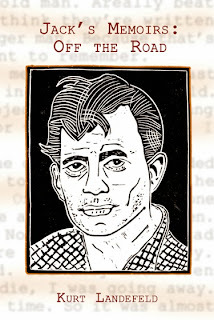 On Friday, look for (in order of appearance): Suzanne McGinness, Les Roberts, Jennie Jones and Derf Backderf. Saturday, look for (in order): Tricia Springstubb, Laura and Barney Taxel, Gail Ghetia Bellamy and Charlie Mintz. On Saturday, Nov. 29, The Learned Owl will offer refreshments and special deals on featured titles. Author Nancy Christie will sign books from 1 to 3 p.m. And you can enter a raffle to win a Christmas Story Leg Lamp, with proceeds going to the Hudson Food Pantry. Appletree will give away special Indies First tote bags, emblazoned with the motto "Shop Small," to purchasers. On Friday, Nov. 28, from 1 to 3 p.m., local author Sandy Philipson and illustrator Jenny Campbell will sign the new chapter book, Wings. On Saturday, Nov. 29, from 1 to 3 p.m., local editor Laura Gorretta will sign the revised version of Chagrin Falls: An Ohio Village History. Letter from Neil Gaiman and Amanda Palmer. 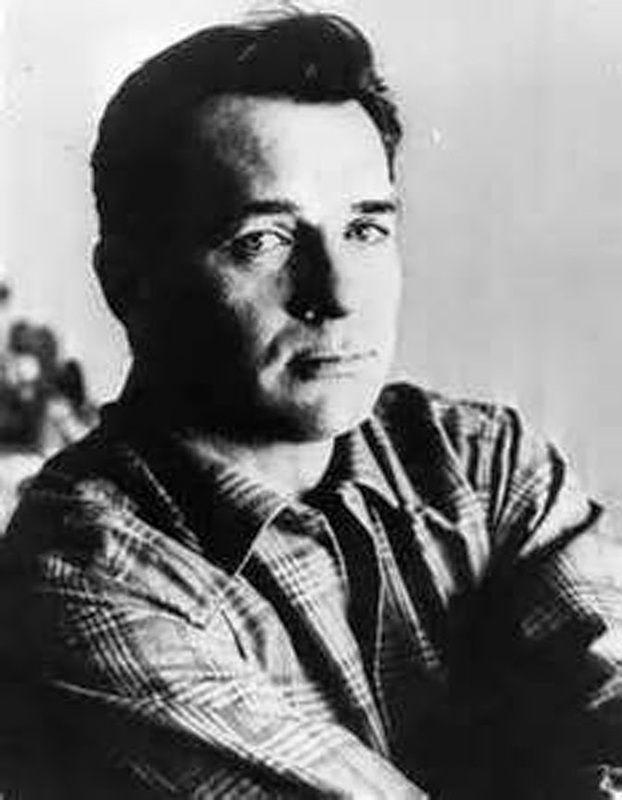 If you want to hear what younger poets are about, here's your chance. 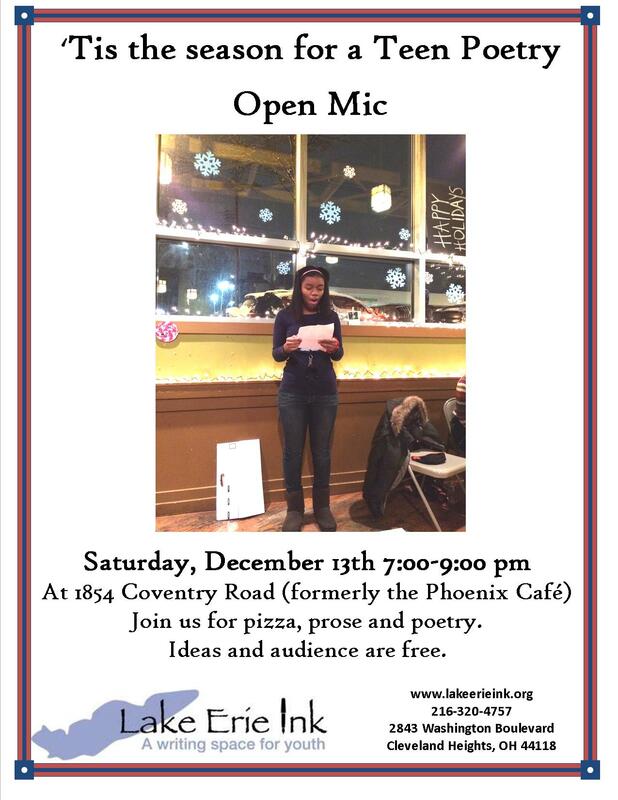 Lake Erie Ink is sponsoring an open Mic for teen poetry on December 13 at 1854 Coventry Road [formerly Phoenix, next to Bodega], part of the Coventry Holiday Fest. Lake Erie Ink (located right next to the Coventry library), is a "writing space for youth" with programs and creative expression opportunities for young people in the Greater Cleveland area. "We believe in the transformative power of creative expression." Cleveland's Belt magazine is getting some ink! 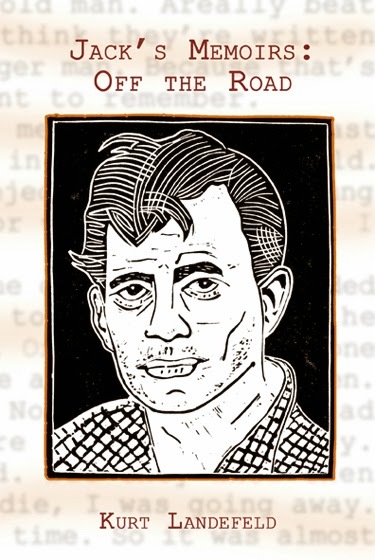 "Belt is a small independent publishing house that tells stories of the industrial (and post-industrial) Midwest, from Pittsburgh to St. Louis. It published its first book, Rust Belt Chic: The Cleveland Anthology, in 2012, and it launched an online magazine last fall that grew out of the Cleveland Anthology and a successful kickstarter campaign." "...The result is a selection of stories and essays that often offer fresh insight into regional issues and challenges and that stoke smart conversation. Discerning readers in Greater Cleveland are not the only ones to notice. The Paley Center for Media has chosen Belt Magazine to present at its "The Next Big Thing in Media and the Innovation Economy" conference..."
"'We see ourselves doing independent Rust Belt journalism, and we're the only ones doing it.' Apparently, tiny Belt is seen as big enough to disrupt." Kurt Landefeld and JACK'S MEMOIRS: OFF THE ROAD, A NOVEL will be featured at the Beat Reading 7 pm Wed. Nov. 12th at Mac's Backs Books...Join the poets and readers who connect with the Beat Movement as it lives on.Bring a favorite Beat poem to share. Green Panda Press announces its first work of full-length fiction. Pigskin in a Blanket is an existential-buddhist-romantic-comedy written by the formerly Cleveland poet Bree (now Kentuckian) in a period of six weeks that followed a string of curses. the novel is set in Cleveland, OH. it features Anya, who marries her twice-senior plastic surgeon and schemes to become the woman people take most seriously, and former Browns player Harry who might just be some kind of poet; he battles an obscure liver disease while slinging meats and cheeses for a local purveyor. 260 pgs TP. the book plus shipping is $12 via paypal to greenpandapress@gmail.com and comes with a copy of Bree's latest paperback poetry Some Hiatus: Tucky Poems. 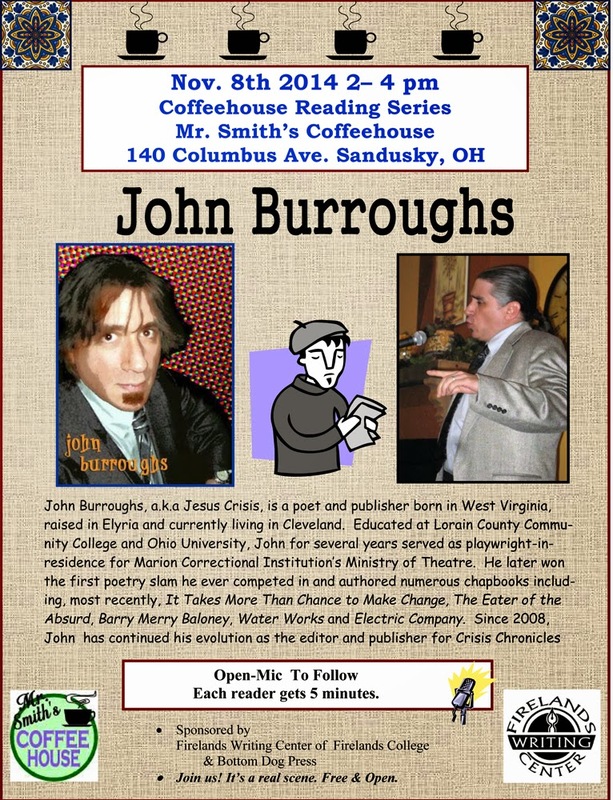 Sponsored by the Firelands Writing Center and Bottom Dog Press.